The typical dessert in Sweden during summer and especially midsummer is the Swedish strawberry cream cake (jordgubbstårta). 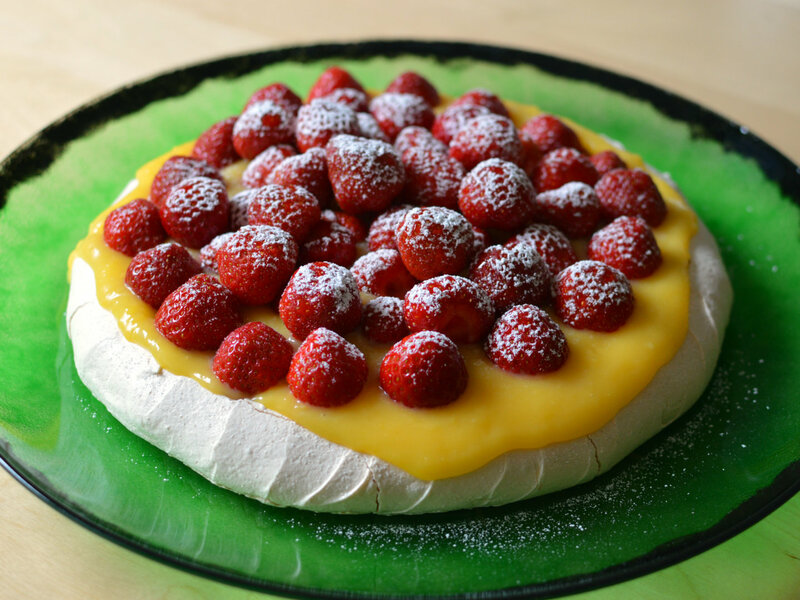 Since I am not a big fan of whipped cream but I still wanted to make a strawberry cake for midsummer I came up with this simplified version of a pavlova with lemon curd and strawberries. A bonus is that this cake is gluten free! If you do like whipped cream you could add a layer between the lemon curd and the strawberries and make it more like a regular pavlova.